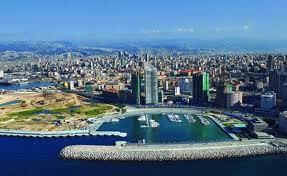 Home » Crew Wanted in Beirut ! A call from a Captain recently has inspired visions of travel and cruising the wonderful islands around Greece and Turkey this Mediterranean summer, Acronautic Yacht Crew been tasked with sourcing a Chef, Engineer and Interior crew for his 35m yacht based in Beirut. This is a wonderful opportunity for experienced crew seeking a challenge that is a little different, visiting new countries and exploring fresh cruising grounds. The Captain told of the wonderfully kind owners that use the boat exclusively for themselves during the summer, they are very private and like to enjoy their time aboard the yacht for relaxation and an escape from the day to day routines. Acronautic Yacht Crew has been appointed the recruitment agent to source appropriate crew and are seeking experienced, qualified and enthusiastic candidates to submit application. Should be well experienced in International cuisine and working on vessels of similar size, preference is for an Australian or Western candidate to bring their culture, quality and pride in workmanship into the workplace. The successful applicant shall be responsible for meal preparation for both Crew and Guests, accounting and budgeting for the season and also assisting on deck if and when required. A short term contract shall be offered initially. Candidates interested in this position should display a strong history of working on similar sized vessels and MTU main engines, you shall be responsible for the overall continuos operation and maintenance of all systems on board including machinerary, electrical, refridgeration, hydralic and also tenders. ONLY those with a proven history and directly relevant experience need apply. Preference for Y4 certification and generous package shall be offered to right candidate. A Stewardess with experience on similar sized vessels shall undertsand the limitations on storage and working spaces on vessel of this size, the successful candidate to fill this challenging position shall be able to demonstrate knowledge of how to overcome such obstacles and be eager to meet and exceed the expectations of the guests during the summer. A generous remuneration shall be offered depending on experience and capabilities. A exciting and challenging position for a Stewardess with some basic previous experience to work in conjunction with the Chief Stew accomplishing the daily responsibilities maintaining the interior. 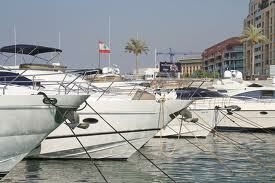 tasks shall include cabin cleaning, laundry, service and general assistance around the boat. This is an excellent opportunity for a candidate seeking a short term summer contract and get to travel onboard a luxury yacht. 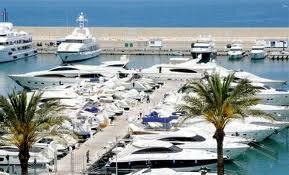 - Preference is for NON – SMOKING crew that display a professionalism in the yachting industry. – Candidates should apply with Resume, Good quality photograph and personal statement attached. Couple applications shall be considered. ONLY those candidates meeting the required criteria and deemed suitable shall receive response in application.